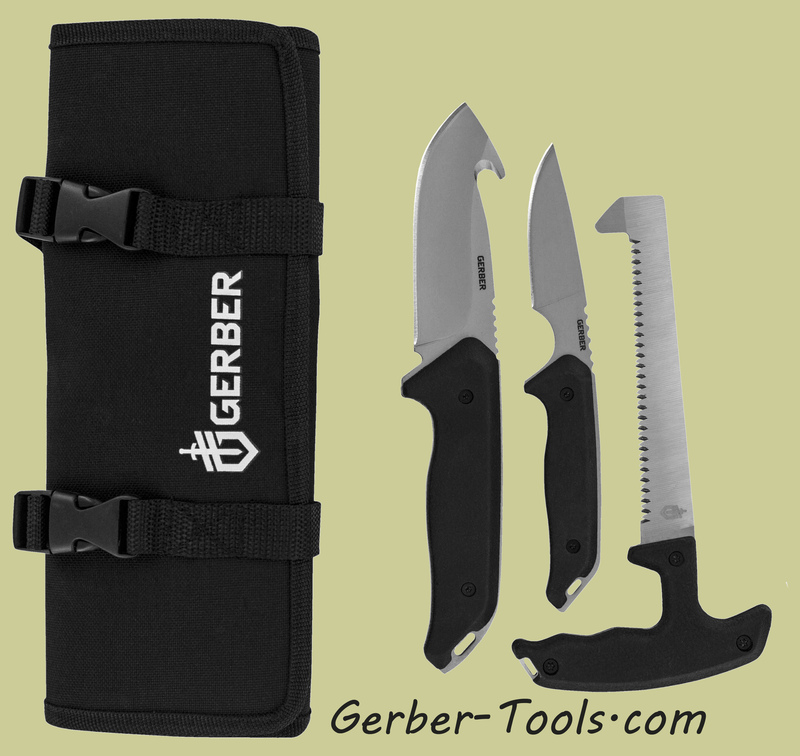 Gerber Moment Field Dress Kit III 31-002683. 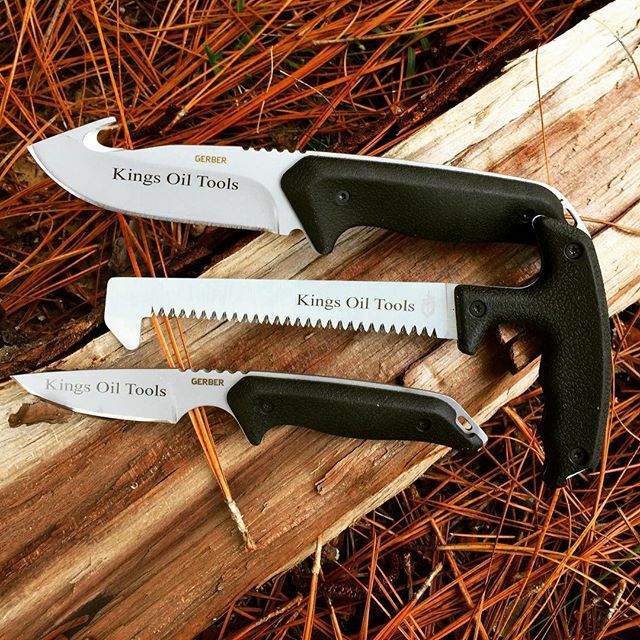 After the thrill of the hunt comes the excitement of dressing the game, and this Field Dress kit will ensure that you do a thorough and efficient job of dressing and cutting your animal. 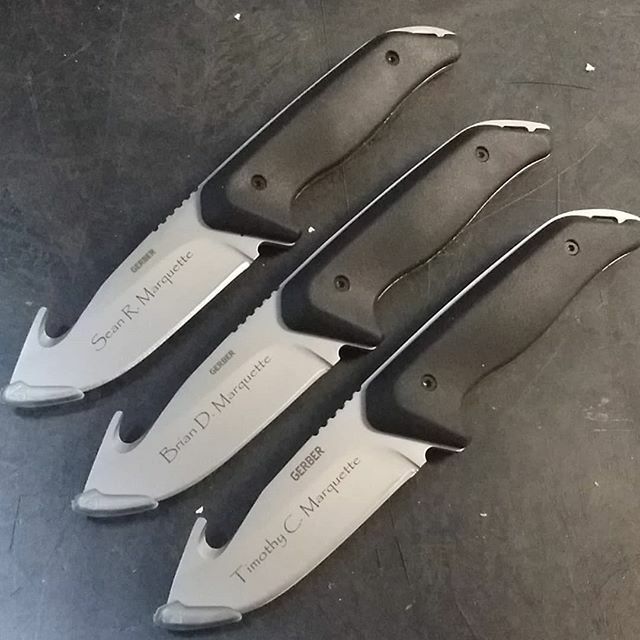 It comes with the Moment Fixed Blade Saw, Moment Fixed Blade Gut Hook, and the Moment Small Fixed Blade Caping Knife. 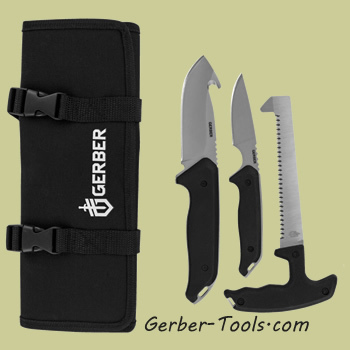 They are each equipped with comfortable Moment-family molded rubber grip handles and full-tang construction. They are also all easily stored in the nylon sheath that can be strapped to a belt.